Bif Bang Pow! is thrilled to announce more 8-inch scale "Mego" style EMCE figures. 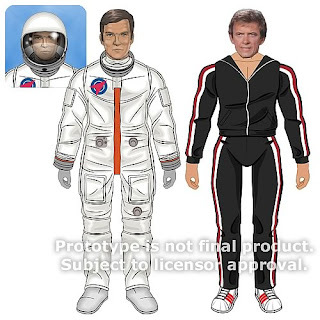 Today we are revealing new upcoming characters from our popular The Six Million Dollar Man line of collectibles. Pre-order the all new Steve Austin in his astronaut outfit, along with Barney Hiller, also known as The Seven Million Dollar Man. Click to pre-order and read more. Release is scheduled for mid-2013.